The Energy Options and Health Benefit study in China shows an integrated co-benefits approach. The goal is to encourage the consideration and analysis of strategies and/or technologies that is benefit to local air quality as well as global climate and to analyze these strategies in an integrated framework. It involves a preliminary national assessment of urban air pollution, public health, greenhouse gas, and economic benefits of clean energy and transportation policies and strategies for China. 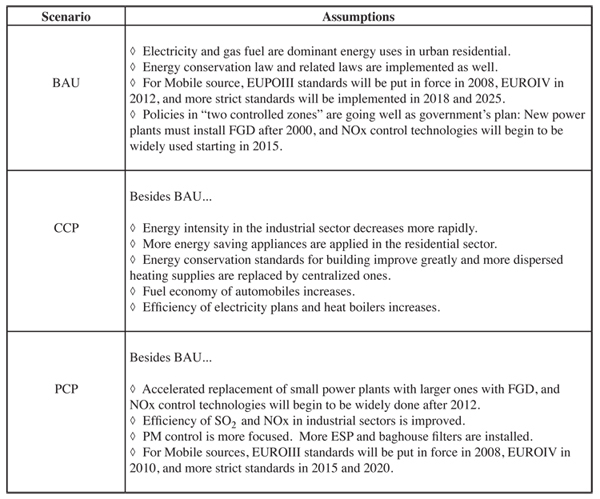 In this study, potential energy policies are classified into several categories. The co-benefits of these energy policies are quantified by the methodology developed under the integrated framework. The result of this study could provide scientific support for a comprehensive air pollution control policy making in China. The trend of energy supply and demand in China during the future 30 years is analyzed using scenario analysis method. Quite different from other projection method or market research method, scenario analysis method doesn’t involve extrapolation of the current status, but assumes several future possible situations and provides better strategies to deal with the complicated problems which will emerge in the future. Three scenarios are involved in this research. 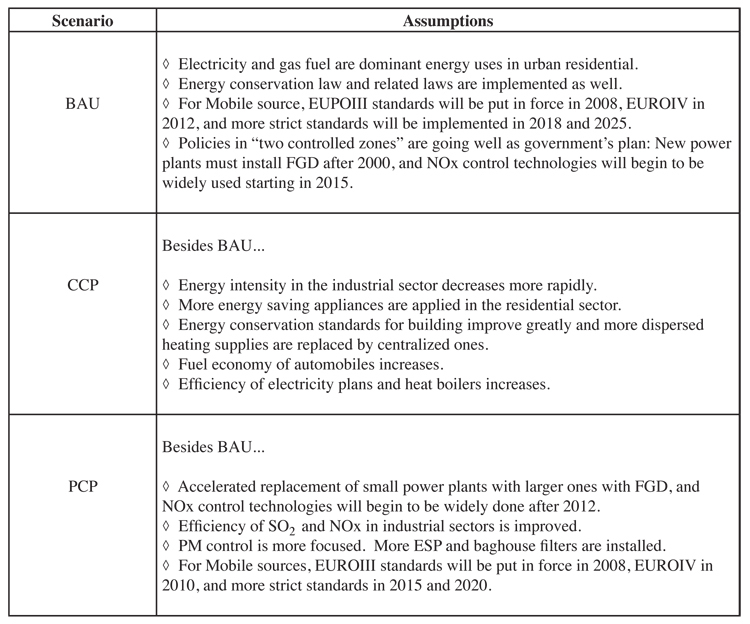 BAU (Business As Usual) is taken as a base scenario, and two polocy scenarios Climate Change Policies (CCP) and Pollution Control Policies ( PCP) scenario will be, will represent the effecting of different sorts of policies. Based on the policies, various measures will be implemented, and they’ll impact the energy system in different aspect, include energy structure, energy efficiency of industry, energy intensity of buildings, and emission factors of all sources. Based on the above assumptions of policies, this research designs two scenarios, as shown in table 7.6.4-3. 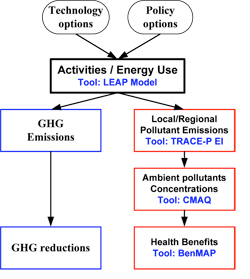 The Long-range Energy Alternatives Planning system (LEAP) is a scenario-based energy-environment modeling tool. Scenario development is based on comprehensive accounting of how energy is consumed, converted and produced in a given region or economy under a range of alternative assumptions on population, economic development, technology and so on. Based on an end-use driven scenario analysis, the computer system is used to analyze current energy use and to simulate alternative energy futures. 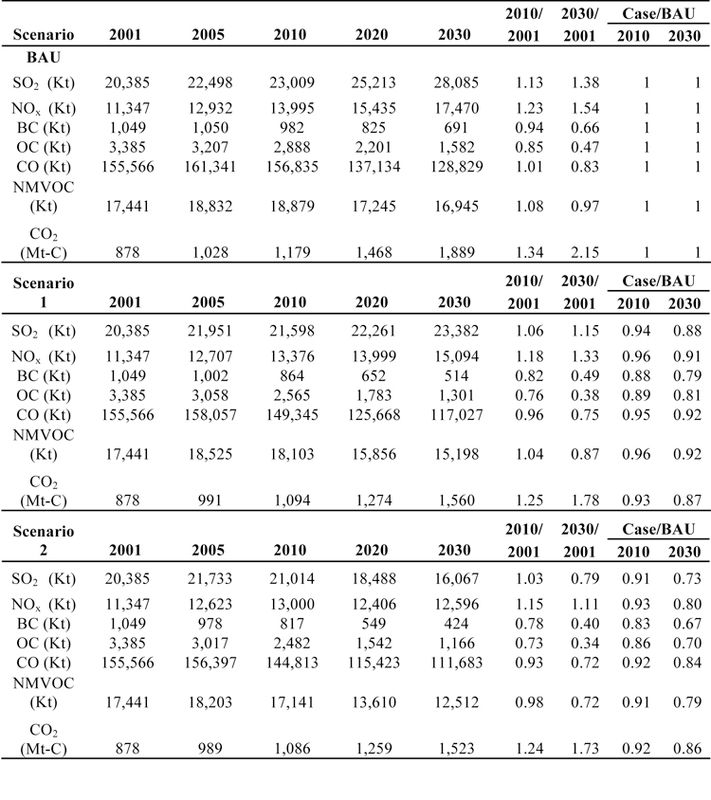 Table 7.6.4-4 shows the pollutant emission scenario results for the four cases for the years 2001, 2010, 2020 and 2030. Similar to table 3-6, two indices are also calculated. 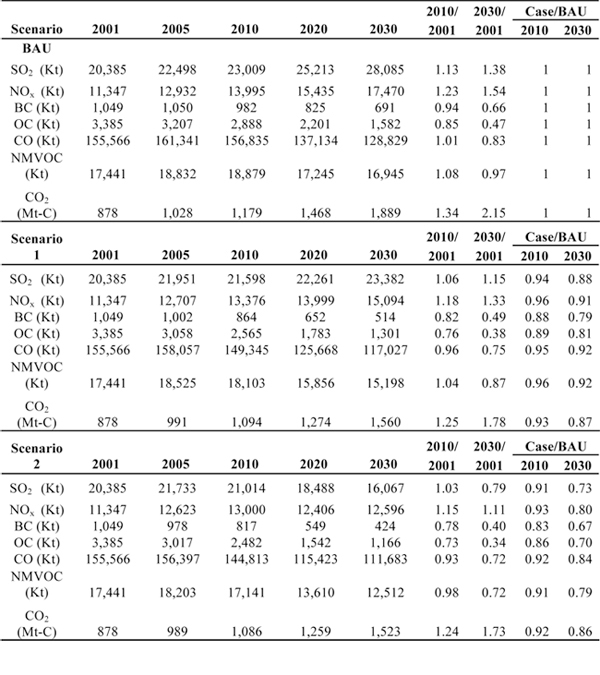 The first index compares the emissions in 2010 and 2030 with emissions in 2001 for each scenario, and the second shows the emission differences between three policy cases and BAU case in 2010 and 2030. Models-3 (CMAQ) recommended by US EPA is used to simulate the air quality in city area. Using CMAQ to simulate the concentrations of the pollutants requires defining and gridding the target area, and providing the geographical information of the emission sources and receptors. Domain covers most area of East Asia with 36?36km resolution. The provincial emission data was spatial allocated to high resolutions (gridding) by GIS information such as landuse, population density, road network and etc. Figures 7.6.4-5 through 7.6.4-7 show the SO2 concentration reduction distribution between different scenarios in 2030, which shows the improvement of air quality of CCP, PCP and CCP+PCP scenarios for different areas separately. The results show that concentrations of SO2 are reduced from the results of scenario 1 and scenario 2 by the energy efficiency (CCP) and pollutants control policies (PCP) which slow down the growth rate of total energy consumption and control the pollutants emission. The distribution and intensity of concentration benefit of CCP and PCP policies are most the same for SO2. The three heavily polluted areas, the middle area including the Beijing, Tianjin and Senyang cities, the east Changjiang river delta area including Zhengzhou, Wuhan, Hefei and Nanjing cities, the south west areas including Chongqing and Sichuan cities shows the most effects than other areas. 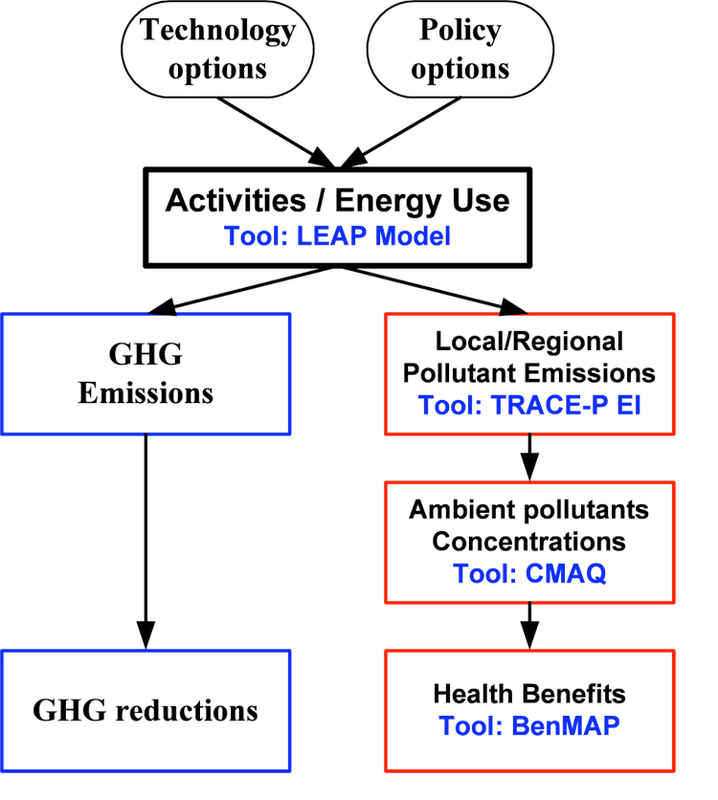 BenMAP developed by the US Environmental Protection Agency (US EPA) is used model to perform the health benefits analyses and economic valuation analyses for changes in air quality by implementation of different energy options in China. > Generally, CCP policies are good choice if we want to reduce emissions of GHG and local/regional pollutants at the same time. PCP policies are efficient to control local/ regional pollutants, but they benefit the GHG abatement very few. The pollutant control policies (PCP) which control the pollutants emissions have more benefits than climate change policies (CCP) for PM2.5 related health benefits. As time goes by, CCP and PCP policies are more and more effective for reducing SO2 and PM2.5. * Initiative on Energy Efficiency Programs. * Developing long-term strategy for natural gas and electricity supply. * Implementing more restrict vehicle emission standards. * Comprehensive control strategies on PM10 and PM2.5: local combustions, fugitive dusts, and regional impact. * Encourage the development of new scientific supporting methodologies for policy making which can address Second Pollutants (Fine PM, Ozone, etc), Regional Impact, and Multi- effects.